This recipe was born out of the desire to cook with what I had on hand. It required a bit of creativity, and I honestly didn’t expect all that much. A healthful supper, but not something memorable. But then the flavors came together. 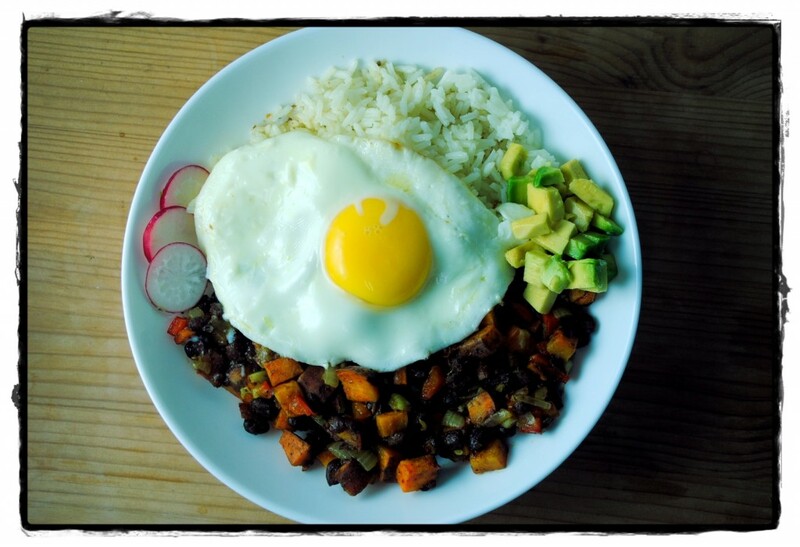 The natural affinity of black beans and sweet potatoes became apparent, and the aromatic seasoning brought the dish from plain Jane to something special. It turned out damn good. The best part about this dish is that it can be the base for any number of dishes, at any time of day. For dinner that night I served it with Jasmine rice and slices of avocado, topped with a fried egg (poached would be good too). Then for breakfast the following morning, it was once again served with eggs for a hearty start to the day. It would also make a worthwhile addition to Juevos Rancheros. For more dinner options, consider wrapping it in a tortilla with guacamole, rice, and sour cream for a vegetarian burrito. Or serve it open face on a tortilla with shredded chicken. I could go on, but I’ll let you get creative with it too. Preheat the oven to 350°F. 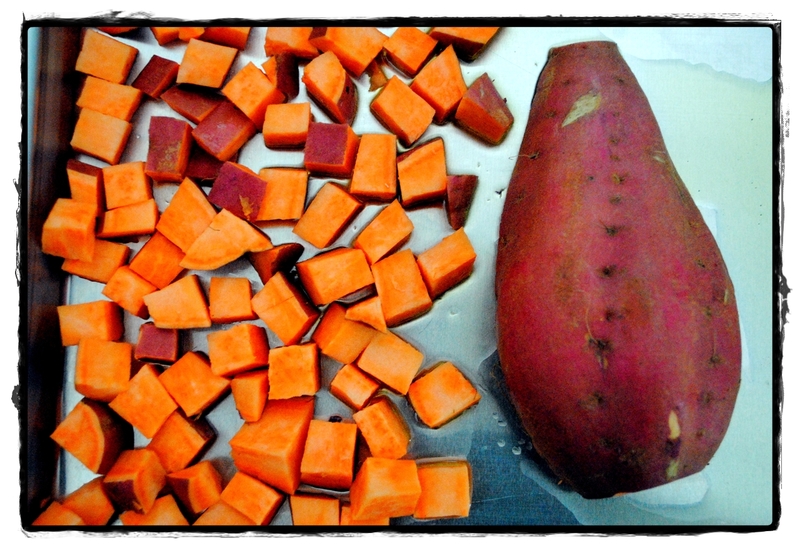 Spread the diced sweet potato on a rimmed baking tray and toss lightly with olive oil. Roast until softened and lightly browned, turning once. 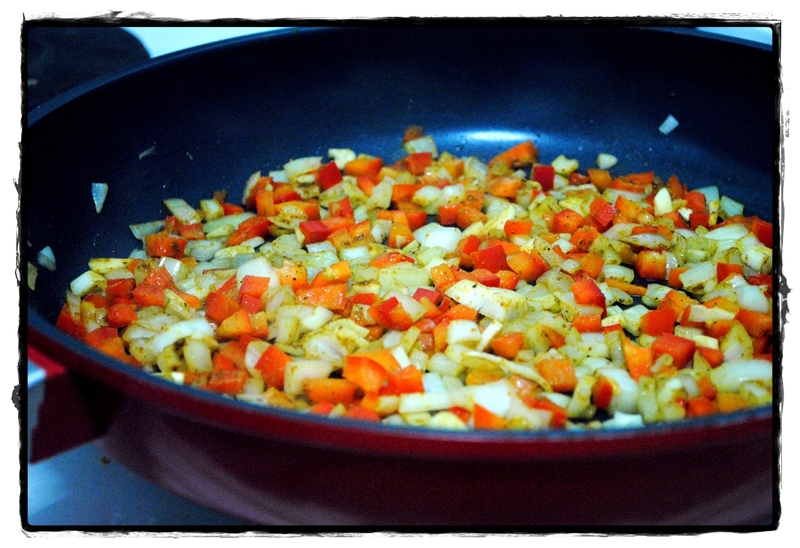 Meanwhile, heat olive oil in a large pan and saute the onion, red pepper, and garlic until softened. 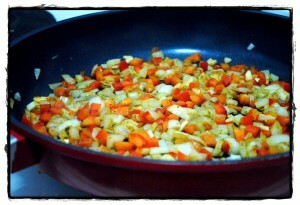 Add the curry powder, coriander, cumin, and ginger and stir to combine. 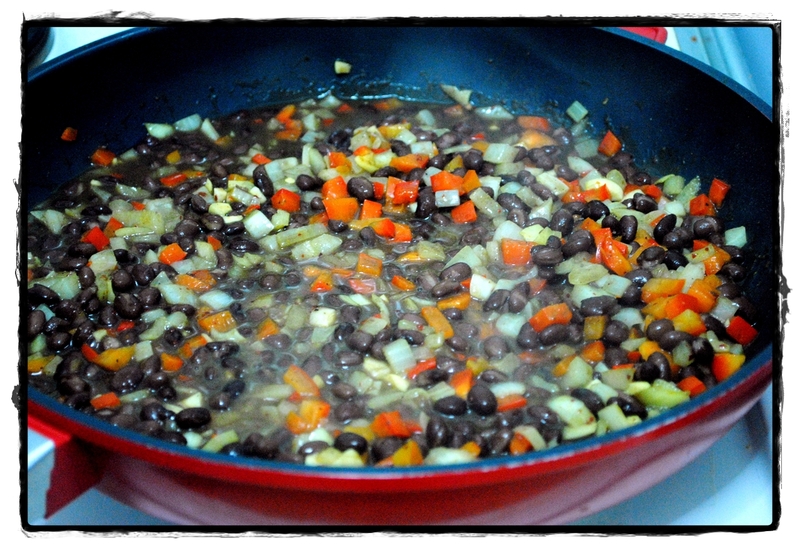 Add the canned black beans with all the liquid; allow to simmer until most of the liquid has absorbed. 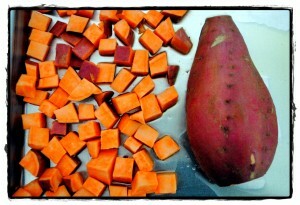 Add the roasted sweet potato and thoroughly toss with the other ingredients. Season with chili flakes, salt and pepper and allow to cook over low heat for a few more minutes to allow the flavors to meld. Serve with rice, slices of avocado, and a fried or poached egg for dinner. Or for breakfast (I do this using leftovers) serve with eggs. See other suggestions above. perfect – i have sweet potatoes from our csa and cooked black beans in the freezer. if i’m not using canned beans, i suppose i could add liquid (water, or broth) to the beans when i cook them with the spices. would you recommend that, or just cooking the beans with the spices themselves? i suppose it would be ‘saucier’ with the liquid.